Our Nursery School is the perfect place for young children to learn and grow. With spacious indoor rooms, wonderful outdoor spaces, lots of toys, games and equipment and the freedom to play and learn at their own pace, our nursery school is a safe, welcoming and supportive environment for children and their parents. 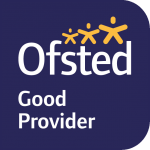 Peace of mind – our nursery school is inspected by Ofsted. We have a secure entry system and all our staff members are DBS checked. Professional approach – our qualified teachers are Early Years specialists and are dedicated to offering each child the best start to education. Plenty of play – young children learn best through play and exploration. Our nursery school offers them the freedom to do what children do best. Lots of resources – from books to building blocks; sandpits to dressing up – we have everything your child needs to be engaged and to learn. Dedicated help – we support children who have a range of physical, emotional or learning needs. Just pop in to talk to us about how we can help you and your family. Settling-in scheme – we want everyone to feel comfortable, so you can meet us as many times as you like in school, and we can come out to see you at home too. You don’t need to leave your child with us until you’re absolutely ready. Funded sessions – we offer a range of funding options. If you qualify, you could get up to 30 hours per week of free education for your child. Look at our funding page, or ask us more when you apply. It’s easy to apply for a place at either of our sites. You can call us, email us, or fill out this application form. We’re happy to answer any questions you have, and to welcome you and your family for a nursery visit. You can also book an open day to come and see the nursery school for yourself.